We thought you could use this encouraging news from USA Today. Read it on our website in PDF format, if you prefer. This year kicked off with some improving economic data on jobs, on retail spending and even a rally in the stock market. So does the good news suggest the economic recovery is finally taking hold and 2012 will be a positive new day for job seekers? For some answers, I caught up with Jamie Dimon, who heads the USA’s largest bank with $2.2 trillion in assets and operations in more than 60 countries. 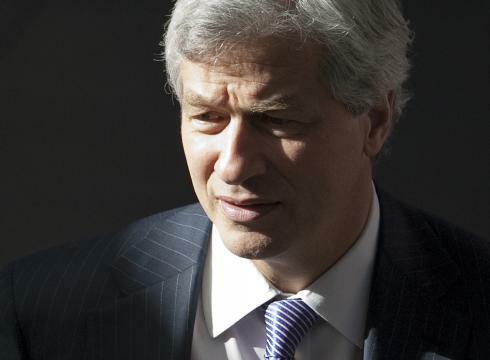 In a series of interviews during his firm’s health care conference last week, the CEO of JPMorgan Chase was optimistic and said the troubled housing market has bottomed. He pointed to innovation in health care as a testament to America’s strength and heft. Our interview follows, edited for clarity and length. Jamie Dimon, chief executive officer of JPMorgan Chase, says Europe is his biggest worry. Q: You have a great vantage point in deciphering where we are in this recovery, with a huge consumer banking and capital markets business. How does the economy look in 2012? A: Barring a disaster out of Europe, I do see a fairly broad, growing economy. The economy is in a mild recovery, which is strengthening. Corporations are in outstanding financial shape. They’re earning money. They’ve got plenty of capital, plenty of wherewithal. Middle-market companies, of which most are private companies with sales of between $20 million and $2 billion, they are in fabulous financial shape and have good margins. They have a lot of capital and liquidity. We see small businesses in better shape. But we are not seeing a huge formation of small businesses yet. Q: Where is the loan growth? A: In two months, as of September, we’ve seen small-business loans up 70%, middle-market loans up 18%. And, hopefully, confidence, which is the secret sauce, will come back, too. A: Europe. It’s the biggest fly in the ointment. Q: Do you think the European Central Bank and the leaders there have responded to the crisis in the right way? A: The ECB changed what could be collateral for the European banks, which is important. They made what a bank can use as collateral much wider, and they put unlimited use of three-year lending. It was a huge move, much bigger than the market reaction we saw. It’s possible that this one thing has removed all funding issues for the big European banks. It gives them breathing room and can help support asset prices in the meantime. The European banks are still being forced to raise capital and by that, they still have to sell assets. They’re being forced to sell assets to raise even more capital at precisely the wrong time. It’s not a massive amount, but you’re starting to see assets for sale, loans for sale. It’s tough. You can’t do a good job for shareholders raising capital with huge discounts for some assets. Q: Are there opportunities for JPMorgan in all of this? Do you look at that situation and say you want to be a buyer of certain assets? How do you buy in that environment? A: We want to be good citizens there. We’ve cut back exposures there, but we’ve kept all the client business going, a great risk to ourselves. But we think it’s very important that we’d be doing business in Italy 50 years from now, but we’re trying to be very careful on that. In the meantime, there are certain assets we’re looking at. There are certain businesses we’re looking at. Q: What about housing in the U.S.? A: We have seen the worst. We are at the bottom. We may hug along the bottom for a while, but we are at the bottom. People think housing is terrible, but the early indicators tell you a lot about where it will be in 18 months or so. Supply and demand are rapidly coming in balance. Renting is now more expensive than buying in half of America. We’re adding 3 million Americans a year. In the next 10 years, we have 30 million more Americans. Those 30 million Americans are going to need 15 million homes, or something like that. Household formation has gone so low. You had kids move back home — and, yes, by the way, it doesn’t work for them, either. And household formation we think will have to go close to a million and a half. Once it goes to (that), housing construction will probably have to go up to a million and a half. Two million jobs, and all this shadow inventory stuff will be getting better, not worse. And it’s the rate of change which is important, not the absolute level. It’s still terrible, by the way. But we think it’s going to get better over time. And then hopefully, maybe, we’ll have some rational policies around housing which will make it better. So housing is near the bottom. Once you see employment start to grow 300,000, 400,000, 500,000 a month, you better buy that house you want really soon because it’ll change in price right away. Q: Is there a plan that you would envision to get some of that 90% mortgage origination away from the government-run Fannie Mae and Freddie Mac and instead coming from the private sector? A: Yes. Almost everything being originated today is being sold to Fannie and Freddie. There’s a certain amount of jumbo mortgages which the banks originally keep for themselves. You can design a mortgage system that is different without a Fannie and Freddie, but there are principles you have to have, to have a good system. If the government wants to do social policy, it should not be done in a quasi-public company. If you have a mortgage guarantee company which is done by the U.S. government, it should be guaranteed by the originators, i.e., the shareholder. You can set up a system that the government’s not involved at all, but you have to transition there over 10 or 15 years because Fannie and Freddie are so big. Mortgages will cost a little bit more, but it actually may be a healthier system. So you could do either one. I just hope people who are responsible for this sit down and do it very thoughtfully. Q: The Federal Reserve is conducting new so-called stress tests. We will learn the results in March. JPMorgan has submitted a plan to handle potential stress. How will your firm come out on this? A: There’s a very good thing about the stress test. I don’t agree with all of it. But I agree with stress tests. You should be able to look at a JPMorgan and say, “Can you handle massive stress?” But the stress here is 13% unemployment, home prices down 20%, equity markets down 50%, a catastrophe in the markets and a catastrophe in Europe. And, yes, we can handle all that and be well above the 5% tier-one capital required. I’m hoping what it shows is that American banks — there may be an exception or two — are extremely well capitalized and can handle extreme stress, and maybe one day we’ll just take this issue off the table. I also believe, by the way, they can prove the point I’ve been making, that at one point we’ll get into too much capital because we’re going to have to hold on to more capital than this number. That’s too much, and maybe this helps prove that. Q: Shareholders of JPMorgan saw their stock fall in 2011 (down 20%, including dividends). How will you return value to shareholders? Will you raise your dividend after the stress-test results come out? A: That’s a board-level decision, but when we raised it the last time, back to $1 a share, we did tell the world that the intent is that every year we will look at it and hopefully give shareholders a little bit more. Q: Are interest rates going to go up in 2012? A: Rates are going to go up. The faster things improve, the sooner you get higher rates. So the first part of higher rates is a good thing. Going back to a normal (yield) curve would be a great thing if this was accompanied by growth and not high inflation. There’s some people who are afraid you’re going to have too much inflation when this all turns around. That’s a legitimate concern, too. Q: What is it going to take to get jobs created in this country again? A: You’re starting to see it already, and a little of that becomes self-sustaining. Because if you got a job, you might buy a new car. You might buy a house. People get married, they have babies. That creates more demand. So we have a very broad-based economy, a very strong America. It’ll recover. It always has. Even after the worst of the worst. I’m going back to after the Civil War, after World War II, after we had the malaise in the ’70s, it recovered each time. And I’m not sure you can always point out the one thing that made it recover other than just the good old American spirit that we all like to work and we all want to grow and we all want to expand. Right now we seem a little overly depressed. Q: What do you want to say to the Occupy Wall Street protesters who are upset about the income gap and upset about the banks making money while they feel that they’re not making any money? A: When people complain, I always try to listen to where the legitimate complaints are. So here’s what’s legitimate. There’s more income inequality in America than some years ago. I think that that’s not a good thing. That’s generally true. The second is, if you look at the institutions of America, not just banks, and if you look at Washington and Wall Street, we let them down. That’s true, too. Once you go beyond that, you start to become indiscriminate. You should be asking, “What will you do to fix it and change it?” Whether it’s better regulations, better laws, progressive taxation. We should all try to do our part. Q: You have talked a lot about demonizing of the industry in recent years. Would the pressure on banks be alleviated under a different administration, and will you support President Obama this year in the November election? A: What I would hope for: that there is no so-called pressure in the industry. That we had rational collaboration about how to build a great country with great rules and regulations that allow business to thrive. If business doesn’t thrive, it hurts America. We need improved relations, more collaboration, more thought and more consistency as we go about trying to make sure we have the best country in the world. Not scapegoating and finger-pointing. I haven’t decided what I’m doing in terms of who to support. Yes, I’m still a Democrat, but I find it very hard to listen to at least the left part of that party right now, and I don’t know what I’m going to do yet. Bartiromo is anchor of CNBC’s Closing Bell and anchor and managing editor of the nationally syndicated Wall Street Journal Report with Maria Bartiromo. Follow her on Twitter @mariabartiromo. To see previous columns, go to bartiromo.usatoday.com.